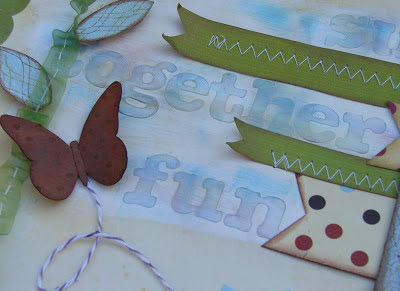 Blog Quick Quotes: Techniques with Barb... Just Because! Techniques with Barb... Just Because! Good morning everyone! Barb here to host the blog today! I got a little messy with this layout! I used Gesso, PowderPuff Chalking Inks and Shimmering Mist! 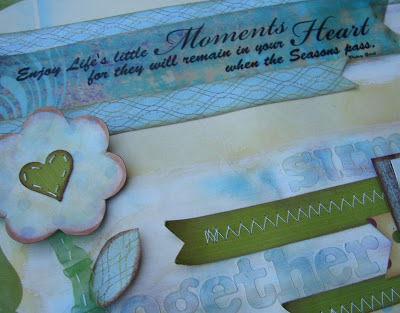 The quote is from the Quick Quotes Bundle Sentiment set. I felt it was perfect since the picture on the layout is 13 years old. I took this picture when I had my older children (now ages 23, 22 & 20) at the Indianapolis Children's Museum. Sometimes I can't believe how fast the time went with them at home. For the flowers, I painted the patterned paper with gesso, then inked it in Blue Hawaiian, Very Berry, Biscotti and Mocha Mama PowderPuff Chalking Inks. 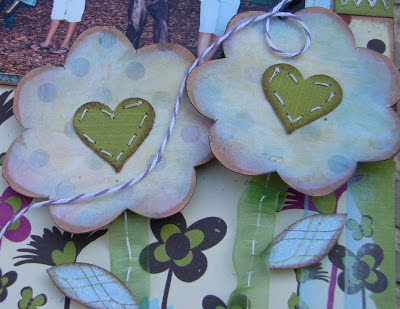 I then stitched the heart in the center and finished it all off with some Shimmering Mist. The butterflies are from the Butterflies Bag O'Chips. I love these chipboard laser die-cuts. They are thick enough to take painting and inking but are still thin enough to emboss and not add too much weight to a page. I wanted to show you how easy it is to emboss this chipboard so I made a video for you! What a pretty layout. I love all your details. This just makes me smile!! Enjoyed the video. Great layout. Love this layout! Such fabulous details with the stitching and those butterflies. Love the layering, such a sweet layout! 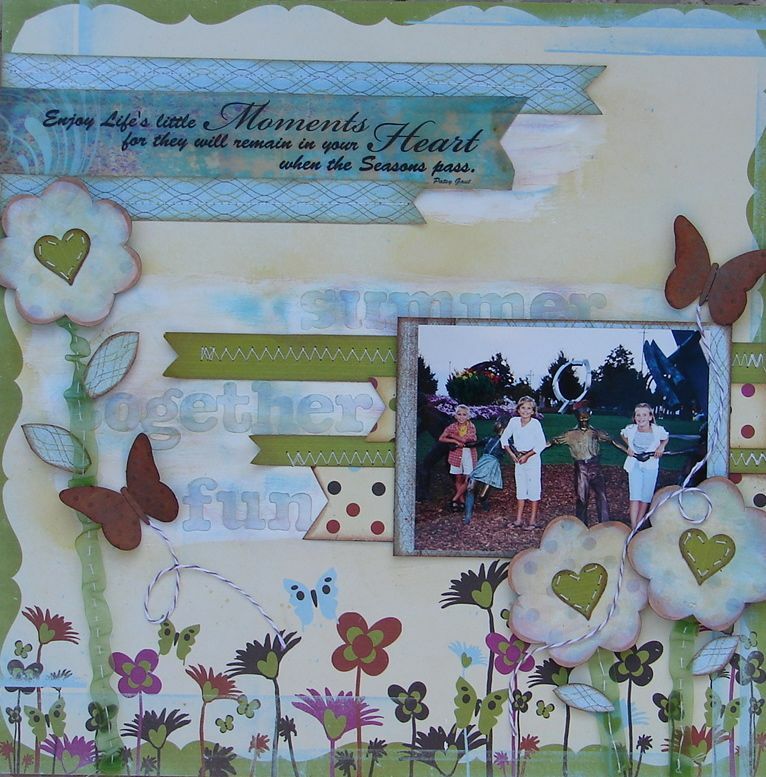 Love the tutorial, and your lay out is beautiful!